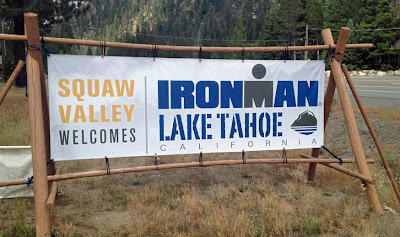 More than 2,500 athletes will compete in the inaugural Ironman Lake Tahoe this Sunday. 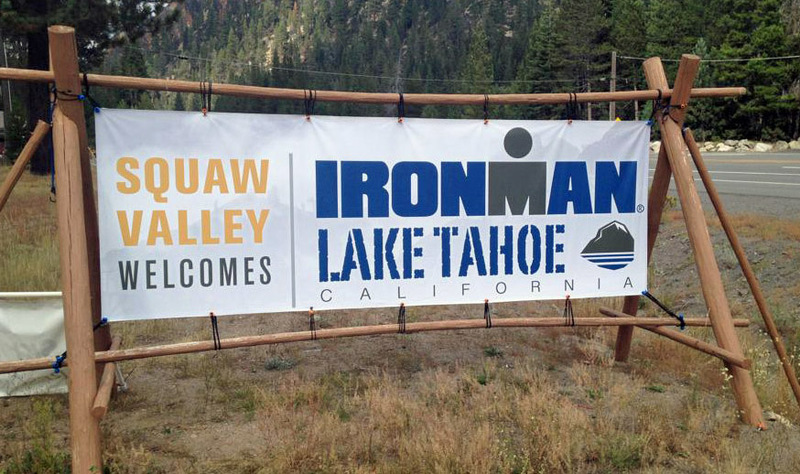 Ironman Lake Tahoe is the first California Ironman Triathlon since 2001. Registration for the event was last summer and filled to capacity within 24 hours. The event begins with a 2.4 mile swim at Kings Beach State Recreation Area at 6:30am. Top athletes will complete the swim and ride out on their bikes in about 45 minutes. The 112 mile bike ride is a clockwise loop through Tahoe City, Truckee, and back to Kings Beach. On the third loop, athletes ride to Squaw Valley where they transition to the run. The 26.2 mile run is primarily on the bike trail that leads to Tahoe City. Ironman Lake Tahoe, September 22, 2013. ﻿The finish line is in the Village at Squaw Valley where the winner should cross around 2:45pm. The race ends at midnight. The best viewing areas will be at Kings Beach in the morning, Historic Truckee from 9:00am to 4:00pm (Truckee Viewing Party with closed streets) and the finish line at Squaw Valley. The final hour at the finish line is my favorite time to watch. The expressions of joy and displays of courage from the final finishers are inspiring. Downtown Truckee will close the streets from 6:30am to 3:30pm. Northstar street closures on Big Springs Drive (SB) and Highlands View Drive (SB). Northshore Tahoe will have rolling closures from 6:30am to 5:30pm. Tahoe Rim Trail parking on Brockway Summit (SB) will be closed. Car traffic is basically counter-clockwise on the course while cyclists loop the course in a clockwise direction. Complete traffic information is at Ironman Lake Tahoe. The event will reportedly pump millions of dollars into the local economy.